The area is very mountainous so hiking and MTB are popular there) and holds the Lighting Festival with a harmony of nature and light every winter. 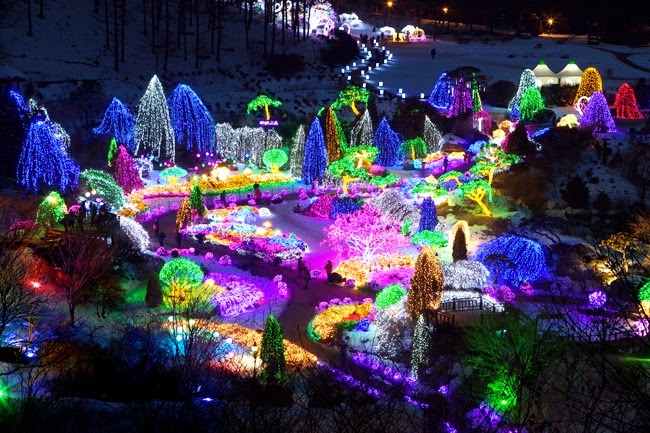 The annual Lighting Festival is the garden’s representative winter festival. Visitors can see the garden illuminated with millions of colorful light bulbs at night. The magnificent scenery created by the light display is expected to be more spectacular than ever. Each area of the garden will also be decorated differently, giving visitors more fun and variety.